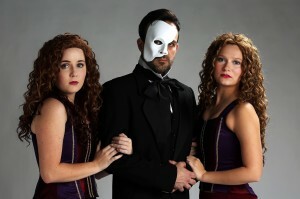 Second Week of CPCC’s Phantom of the Opera Heading for a Sellout! 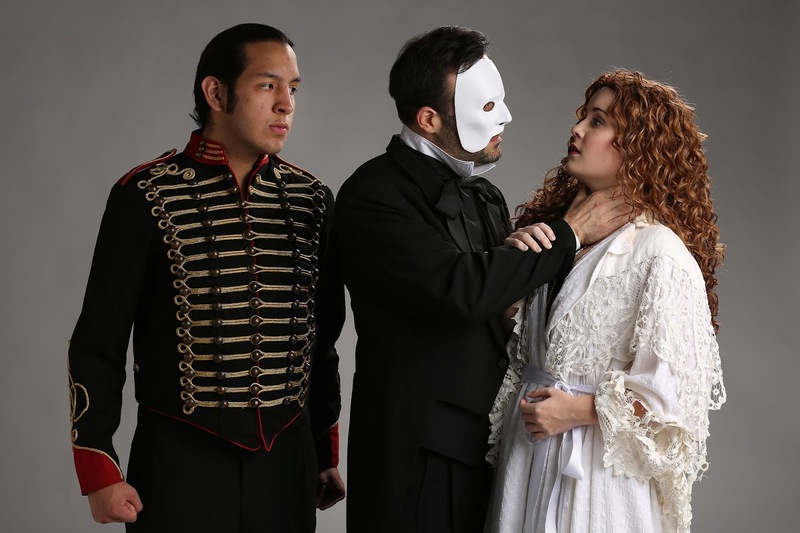 CPCC’s joint production of Andrew Lloyd Webber’s The Phantom of the Opera which combines the talents of the Drama, Dance and Opera programs runs Wednesday 11/18 through Sunday 11/22 in the Halton Theater. Friday, Saturday and Sunday are all sold out. Tickets are available for Wednesday and Thursday evening at 7:30pm. Grab them while you can. Call the SunTrust Box Office at 704-330-6534 or go online to tix.cpcc.edu. CPCC Drama , Music and Dance programs have combined to present Andrew Lloyd Webber’s The Phantom of the Opera November 13 – 21 in the Dale F. Halton Theater on the Central Campus of CPCC. Tickets are available at the SunTrust Box Office 704-330-6534 or online at tix.cpcc.edu. For almost 30 years Andrew Lloyd Webber’s The Phantom of the Opera has captivated audiences with his retelling of the story of the a masked figure who lurks beneath the catacombs of the Paris Opera House. Exercising a reign of terror, over all who inhabit it, the Phantom falls madly in love with an innocent soprano, Christine, and devotes himself to creating a new star by nurturing her extraordinary talents. From the roof of the Paris Opera House to the flooded catacombs below, The Phantom of the Opera thrills through one of the most sensational scores ever written for the stage. Truly the “Angel of Music” takes one through the haunting “Music of the Night”, as the “Masquerade” unfolds around us. Tickets are $18 to 20. Student tickets $5.00 with ID. 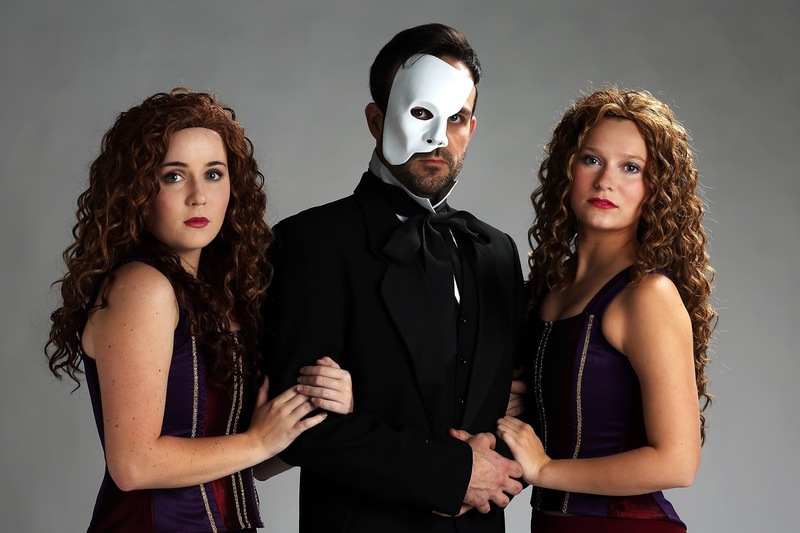 CPCC Theatre, Opera and Dance open Andrew Lloyd Webber’s The Phantom of the Opera on Friday November 13th at 8:00pm in the Dale F. Halton Theater to celebrate the 10th anniversary of the opening of the facility. As part of the show two very talented young ladies have been cast in the role of Christine Daae. Why two actresses for one role? The role of Christine Daae is one of the most demanding vocal roles ever written for the Musical Theatre stage. At no time in the history of the show has one actress appeared in ever performance in a single week. So when we set out to cast Phantom we knew we were going to need two Christines in order to present the show. And we couldn’t be more pleased with the two dynamite performers we found. Karley Kornegay is absolutely thrilled to be joining the cast of CPCC’s The Phantom of the Opera in the role of her dreams. Karley has studied classical voice for four years now with Jacquelyn Culpepper at Davidson College. Some of her previous credits include Peter Pan (Mrs. Darling), Sweeney Todd (Pirelli) Rent (Mrs. Cohen), Les Miserables (Montparnasse/Ensemble), and Footloose: The Musical (Eleanor Dunbar). She would like to thank her family for always loving and supporting her. Anna Belle Lusk will complete her AFA at CPCC this spring where she has maintained a 4.00, and will be transferring for a Bachelor’s degree in Vocal Performance next fall. In the past, she has performed in the Wizard of Oz (Dorothy), Little Shop of Horrors (Audrey), and recently spent a month in Mexico studying opera at a vocal intensive. Anna Belle is thrilled and humbled to be a part of Phantom, and sends much love and thanks to her parents, teachers, and friends for believing in her dream. Both of these talented ladies will making their premier performances with CPCC Performing Arts in Phantom of the Opera. Karley will appear on 11/13, 15, 19, 21. Anna Belle Lusk will perform on 11/14, 18, 20, 22. We invite you to see both of these fabulous performers as they present the role of a life time. You can get your tickets to Phantom at the SunTrust Box Office 704-330-6534 or online 24/7 at tix.cpcc.edu.